The purpose of the Construction Method Statement is to outline our approach to managing the construction works for 13 Chepstow Villas, London. This document includes specific comments on the site establishment, logistics, and the process of managing the overall environment surrounding the property. It will also ensure that the construction works cause the minimum disruption to the adjacent residents with a safe working and living environment maintained. The agreed contents of the Construction Method Statement will form part of the development plan and will be agreed with the Royal Borough of Kensington and Chelsea Council. The Plan will constantly be reviewed and any changes or improvements will be added and agreed with the Council and the Plan revised and reissued. These proposals are to enable third parties to understand the nature of the works and the various construction activities associated with the development. This Construction Method Statement is subject to third party approvals and therefore amendments are likely. Formal approvals and activity methodology approaches will be addressed in detailed submissions to the design team and the Client. Liaison with the neighbours and interested parties will continue throughout the project, as information is updated and as the project develops. Particular attention will be paid to ensure that the neighbours are kept appraised of progress and future works on the project. The information provided in this document is an overview of the key project activities at Chepstow Villas. Generic statements herein are to be further developed into plans, procedures, and detailed method statements as the project develops. This Plan is to inform interested parties. It will be used as the background for the detailed construction method and risk assessments, and will be included in all specialist trade contractor portions of the works. A solid hoarding will be erected to the front elevation of the site and along the boundary walls, with a personnel site entrance gate at the front. It will be painted and kept in a clean and tidy condition throughout the works. All hoardings/fencing will be regularly checked and maintained in a clean and tidy condition and signage will be positioned so it is clearly visible to warn members of the public of any potential hazards surrounding the site. The site accommodation will be located inside the property on the ground floor, leaving the pavement access to remain clear. The site will be maintained in a safe and tidy manner with the implementation of good housekeeping procedures regularly checked by our Health and Safety Advisor on fortnightly site inspections and be set up with temporary power, water and drainage throughout the duration of the works. We will also register the site under the Considerate Constructors scheme and we will therefore comply with the scheme’s Code of Practice. Delay to projects is one of the foremost concerns of the construction industry in the United Arab Emirates. The delays to the projects are affecting the economies throughout the world. Delay to projects mean the slowdown of development in all other related fields. The main aim and objective of this dissertation is to evaluate the various types of delays and the reasons for those delays that are currently affecting the projects in the United Arab Emirates. Measures from previous researches to reduce or eliminate these delays by methods of mitigation or acceleration are analyzed for the case studies considered for this research. There are various types of delays which are identified. It is important to identify whether the delay is critical or not as identification of critical delays helps in taking appropriate measures at the correct time. The delay may be non excusable (contractor caused) for which the client and the consultant need to have project management tools to effectively manage the delays or compensable (client caused) delays which are due to the client. The delays may be by either parties and can be concurrent. The reasons for delays are primarily due to an unreasonable project scope, inadequate early planning and the absence of risk management systems. The contractor further contributes to delay due to lack of resources and labor productivity. Over ambitious estimates, incorrect task assessment ,lack of task clarity, design/ approval delays and interference in the decision making process by the client add on to the delay. A detailed case study has been carried out for three projects in the United Arab Emirates. The first case study deals with a project which encountered delays and implemented measures of mitigation and acceleration to reduce the delays. The second case is a project which failed in its objectives of completion in time as well as budget. The third case is success project, where in spite of initial delays the project was completed on time by implementing mitigation and acceleration measures. The methodology implemented is acquisition of key data and justifying by providing adequate reasons regarding the data. Results and analysis for the case studies were structured according to methodology and further detailed into planning, resource, cost and nominations analysis. The finding from the case studies are that the main delay to the projects are compensable delays (owner caused)as seen case study 1 where the owner delayed the nomination. The findings from Case study 2 are the lack of decisions by the client and commitment to the project affected the project to an extent that the project could not achieve its goals. The findings from the case study 3 are that even if there is an initial delay, it can be overcome by teamwork and contribution from all the stakeholders to achieve success. Projects are envisaged and visualized with the foresight of achieving the primary objective of timely completion. Some projects are planned and executed successfully whereas others get delayed due to reasons, some of which are analyzed and evaluated in this dissertation. Delay to projects is considered to be one of the common problems in the construction industry. Delays have an negative effect on the project in terms of performance, time and cost. Thus, it is essential to identify the types of delays that normally occur in a project .The types of delays can be broadly split in two categories of delay by the client (compensable delays)and the contractor(non excusable delays).The delays can be identified as critical or non critical and whether the delay is concurrent or non concurrent. The identification of the types of delays leads to the reasons of delay. The reasons for the delays are identified so that the effect on construction projects can be reduced. The reasons for delays are client and contractor related. 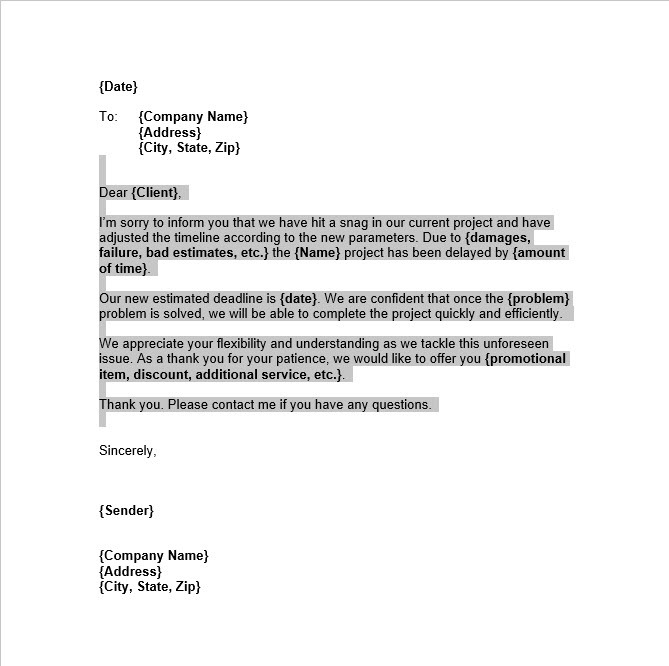 Unreasonable project scope and inadequate early planning are the prime delays by the client. The client interference and delay in the decision making process also major reasons for delays. The client in some cases delays the design or changes the design leading to various other changes like design related changes to drawings and their approval by the authorities. The contractor had delays related to overambitious estimates and incorrect task assessment which lead to delays and affect the project. In case of lack of task clarity, an inexperienced contractor or subcontractor may unknowingly delay the works.